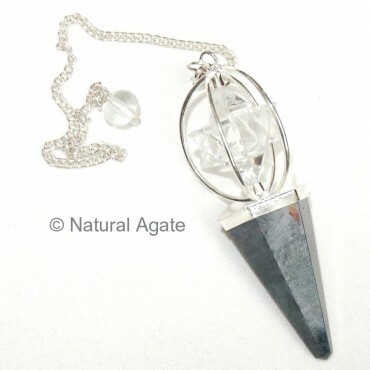 Natural Agate offers Black Tourmaline Pendulum with Merkaba Star. Merkaba star carries the divine light and helps to increase the healing power of the practitioner. This pendulum will keep you away from negativity and harm.